This is one part of Teesside that’s remaining hidden at the moment, the grave cover is currently covered for its own protection. 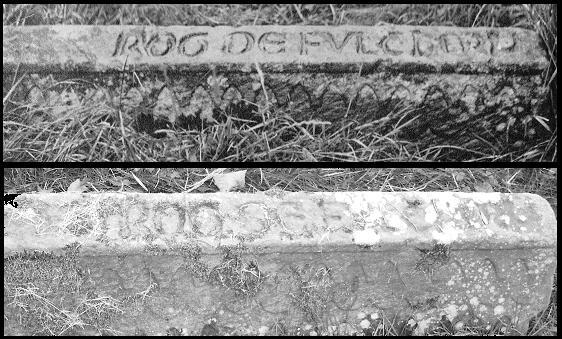 This photo from the Thorpe Thewles History Group shows a comparision betwen 1940 and 2007 and the rapid deterioration of the inscription. The group are hoping to start a conservation project this year, so hopefully it will soon be on view again. A doorway has been cut in the back, rather than it being accessed from above. Pillboxes like this are often partially buried, so presumably the modification was to make access easier to this un-buried model.